With, expansive deserts, glittering cities, pristine beaches, and incredible contrast of sights. India is truly an enchanting land. Home to over 200 national languages, all major world religions, and a variety of subcultures, India cannot be bound down to one cultural group with just one set of customs. Therefore making it very challenging to know what you can expect on your first visit. In India, dress according to the place and customs. Such a place like a mosque, temple or other holy places requires you to dress by covering your head with a scarf and taking off your shoes before entering. India is a conservative country so, it is wise to aim to blend in with the rest of the people. While on your trip to India, be conscious of what you eat and drink to avoid an experience of having a dodgy or swirling tummy. You don’t want to ruin your smooth trip right? By avoiding this unpleasant situation, it is advisable to pick freshly cooked meat and fresh fruits and to stick to drinking sealed bottled water. Fortunately, there are various tasty dish options for you (See our favorite Indian dishes on this link) plus Indian food includes perhaps the most dazzling array of fresh vegetables and fruits cooked in a multitude of way that help keep their freshness and nutrients. Also, don’t forget that almost all savoury Indian cuisine is ‘spicy’ as almost all of it is cooked with at least one spice on it! If you are a not a spicy food lover, you should always mention to not add spices when you order food. Lastly, we don’t advise you to eat from vendors on the street, just to be on the safe side. Your journey to India can be complex, challenging and yet, rewarding. Since, India has multiple languages and religions, we advise you to be open-minded and flexible as you travel to India. This will benefit you to broaden your knowledge as well as discover new and interesting things. Planning your trip with RDV Voyage will help you have an idea of what to expect uncompromising your comfort and safety. India has four season: Summer, Winter, Monsoon & Post-monsoon. In, this vast wonderful country there are diverse climates in every region. Fortunately, the Taj Mahal keeps its charm and glory, continuing to be as luminescent as ever for whatever time of the year. The best time to visit is during sunrise, when there are fewer tourists and the midday heat is yet to set in. Spend a few days in one place and you’ll be less stressed and you can obtain a deeper understanding of where you are. More importantly, a wise planned visit to a particular area can convey far more of the unique texture and spirit of the place. India is known to be the overpopulated country. 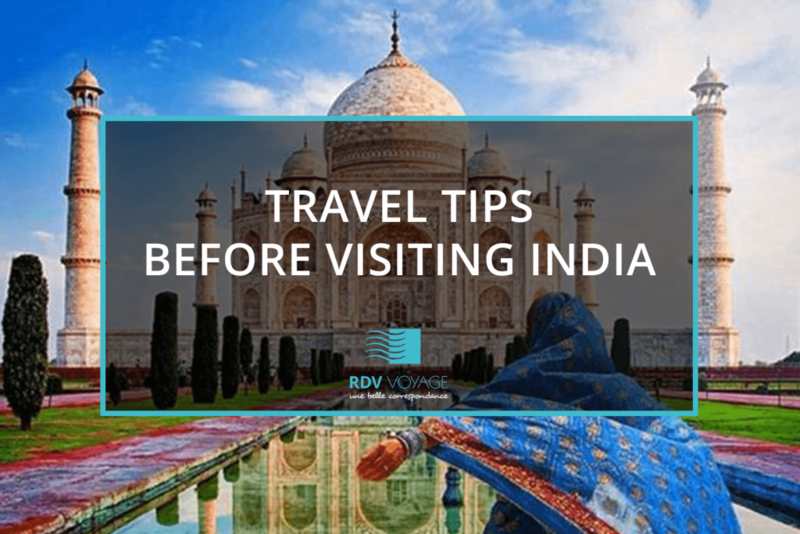 So, we highly suggest you to spend a couple of days in the downtowns then spend the rest of your days on the most scenic natural landscapes in India this will bring you the most relaxing journey on your trip to India. Avoid being a victim of pickpocketing by carrying small bags with a hearty zipper that can wrap around your shoulder, and don’t put money, cell phones or keys in your pockets. If walking late at night, walk with a companion, whether it’s, a friend, guide or a family member. This applies to almost every city you visit, most importantly when you are in an unfamiliar place overseas. Being aware and alert about your surroundings helps you have a stress-free travel. Always ask the hotel reception or staff if it is safe to walk or stroll in the neighborhood where your hotel is. Nobody wants to come home with bad stories and experiences about the trip. Taj Mahal is one of the Wonders of the world– Is located in the city of Agra, a city of great importance located 176 km from New Delhi, the capital.